How much can your Church save? A small church in McHenry with a daycare will save $10,000 dollars a year, how much could yours save? Going green with Energy Efficient LED Lighting can help your church increase your total annual cash flow. 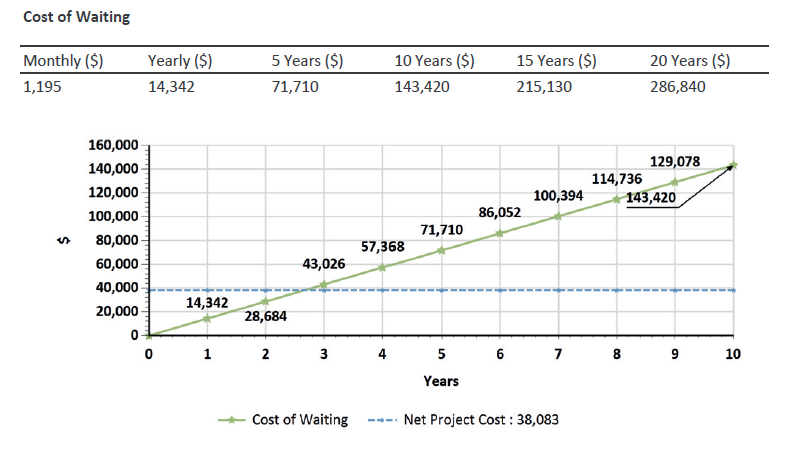 Look at the chart below to see what the return on investment is for a small church, and how waiting is not the best option for your church, school, or office building. Your church needs more cash flow, and wants to save money. Time to call M-Lite Solution to see how we can boost your churches revenue, and help the environment. You can see from above what it could cost you not to make the switch to energy-efficient LED lighting, so let’s be progressive and make your church green today. This entry was posted in Church LED case study, Commercial LED Leasing Program, Efficient Lighting, Energy Efficiency Lease, Energy Savings, Green Lighting, LED Light Bars, LED Lighting, LED Project Funding, LED Retrofit Kit, LED Retrofit Kits, LED Troffers by M-Lite Solution, Retrofit your church, School Led retrofit case study and tagged Chandelier, Church Led Lighting, Church Lighting, church saves money, Converting to LED Lighting, Dare, Dare you to Change, GREEN BUILDINGS, LED Lighting Manufacturer, LED Solutions, LED upgrades for Schools, M-Lite Solution, Retrofit your church, school LED retrofit, SEDAC ILLINOIS, Superbad, Trade Ally COMED, UL approved, USGBC - Illinois. Our project at Chicago Motor Cars was very cut and dry. 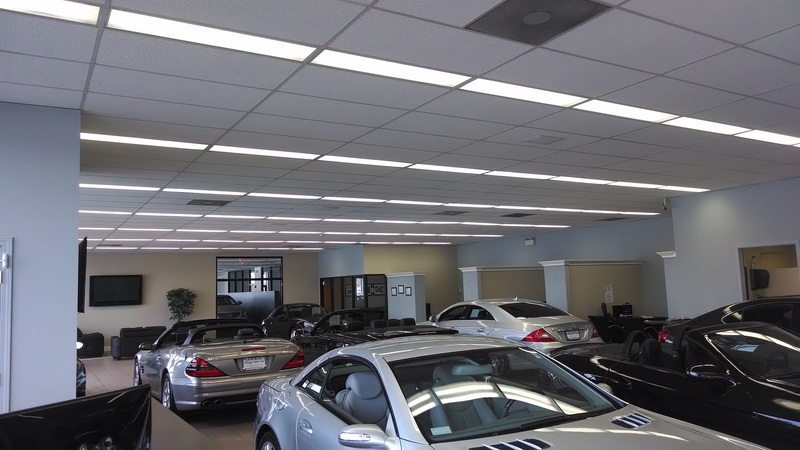 Owner Frank Sacco wanted a green showroom regardless of the Return on Investment (ROI). He wanted great lighting for his exotic, luxury, and vintage sports cars that are hand-picked by some of the nation’s top buyers. The lighting quality at Chicago Motor Cars must be exceptional, and M-Lite Solution was ready to make it happen with one of our LED retrofit kits. We had a few different lighting solutions for Chicago Motor Cars, but our 1×4 LED retrofit panel fit the clients request perfectly. Chicago Motor Cars current troffers consumed 94 watts per fixture. 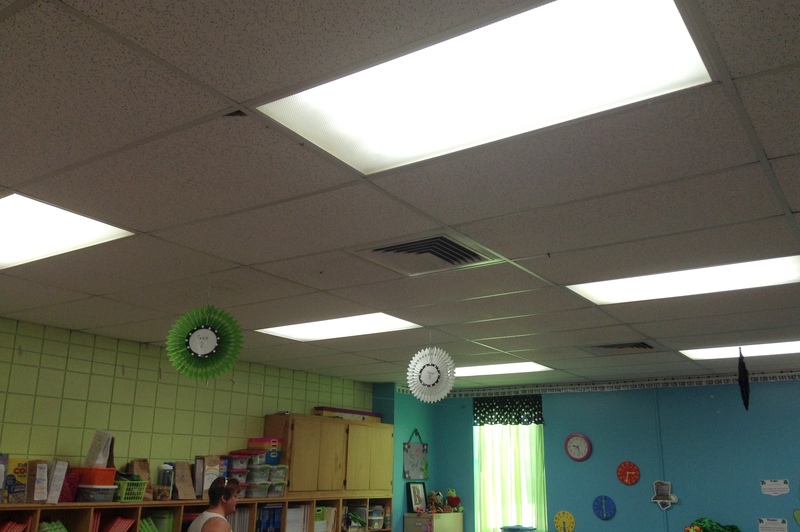 Each troffer put out a yellow colored light with the standard humming noise that would prevent a small child from napping. Our 1×4 LED retrofit kit only consumes 34 watts, will push out 34oo lumens in a pure white light without any light flicker, or that annoying humming sound. To justify the investment of Chicago Motor Cars, we measure the return, and we create a comprehensive Client Impact Analysis that measures and quantifies the end results of our Energy Efficient LED Lighting upgrade. This is based upon pre-process measurements, and information gathered by us and the team at Chicago Motor Cars. 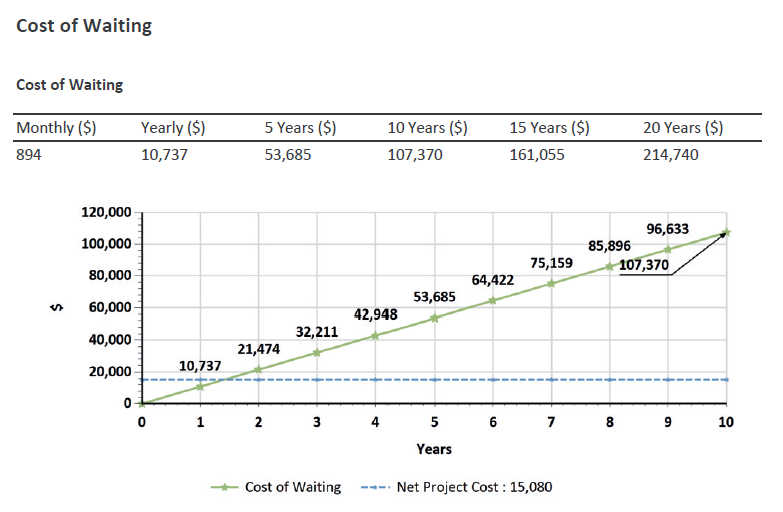 Below is a chart that shows the “Cost of Waiting” report. 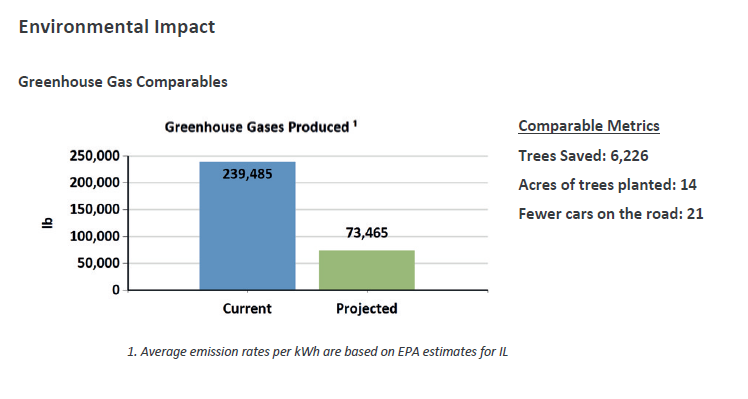 Reducing green house gases is a big concern of Mr.Sacco’s, and he was happy to see how doing a small job like his Chicago Motor Cars west showroom would reduce their fixtures green house gases production by more than 63 percent. 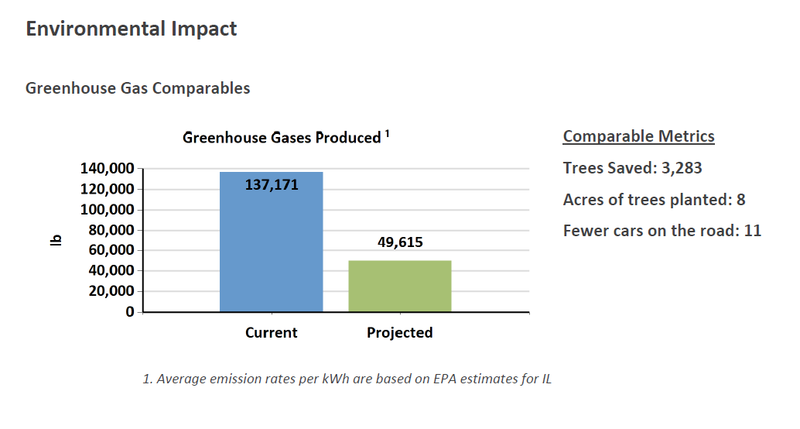 This is comparable to saving 3,283 trees or 8 acres of trees planted. 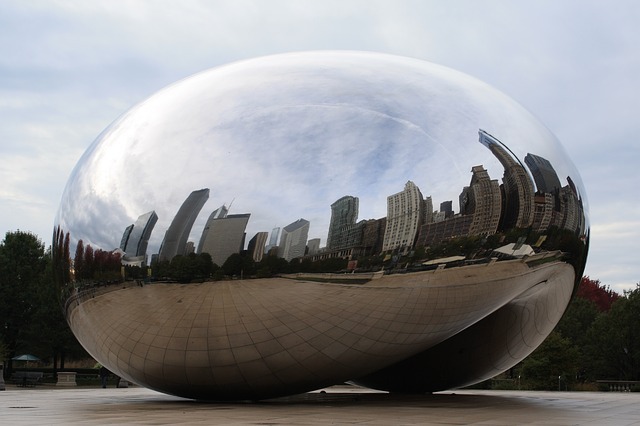 Chicago Motor Cars is one of many commercial propriety owners in Illinois that are making the change to more efficient LED lighting, which is why Illinois leads the nation in “Green Buildings”. However, small jobs like this one do not have a fast rate of return due to the limited hours of operation compared to a factory that uses their lighting 24/7. Chicago Motor Cars will see a return on investment in less than 16 months of the LED lighting retrofit. 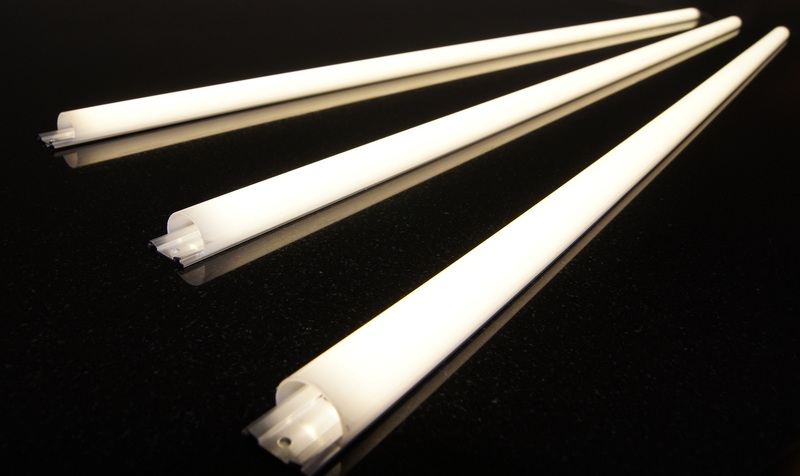 So next time you look at all the lights in your office, school, or warehouse ask yourself how much you could be saving with an LED retrofit by M-Lite Solution. For questions, and details regarding this energy-saving post, please contact Dave Rozek at dave.rozek@m-lites.com. This entry was posted in 1x4 Troffer retrofit, Chicago Motor Cars Retrofit, Energy Savings, LED Lighting, LED Retrofit Kit, LED Retrofit Kits, LED Troffers, LED Troffers by M-Lite Solution and tagged 1x4 Troffer retrofit, Chicago Motor Cars Retrofit, Converting to LED Lighting, Dave Rozek LED Lighting Inventor, Green Products, LED Light Bars, LED Lighting, LED Lighting for showrooms, LED Lighting Manufacturer, LED Solutions, LED upgrades for Car Dealers, LED upgrades for Schools, M-Lite, M-Lite Solution, Manny Lin, Manny Lin from M-Lite Solution.